Second City Sound is Birmingham’s only female barbershop chorus under the direction of Rod Butcher. 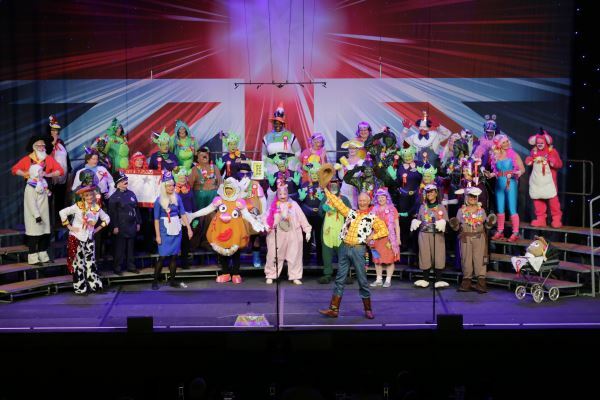 SCS aim to push the boundaries of singing excellence, musicality and performance, and do this by entering prestigious national and regional competitions, performing both locally and further afield and coaching our singers to develop singing techniques. In the photograph above we are on the convention stage in Bournemouth for the 2017 LABBS convention. We have a varied repertoire 1920’s to the 60’s from Noel Coward songs the Beatles to Barry Manilow and recently a song from a Disney Pixar film has found its way into our repertoire. We also have a number of Christmas songs. Follow us on Facebook, Twitter, Pinterest and Google+ by clicking on one of the icons above. Click on map for more details.